The 32GK650G-B 31.5" 16:9 G-Sync LCD Gaming Monitor from LG is built with with a Vertical Alignment panel that provides you with vivid colors and wide 178° viewing angles. As a gaming monitor, it features many helpful additions such as a 144 Hz refresh rate and NVIDIA G-Sync technology. Specs-wise, it has a 2560 x 1440 QHD resolution, a 3000:1 static contrast ratio, and a 350 cd/m² brightness rating. Once it's connected via HDMI or DisplayPort, you can adjust its versatile stand to best fit your viewing preference. 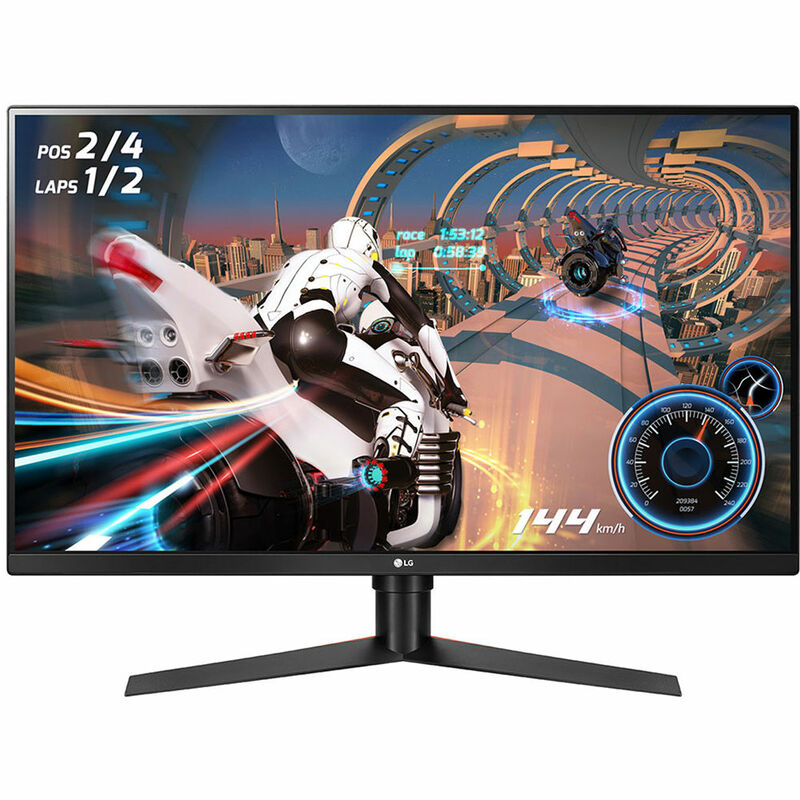 At its default settings, this monitor has a fast 144 Hz refresh rate, which provides you with a smoother experience that's ideal for fast-paced games such as racing or FPS. It can also reach up to 165 Hz when overclocked. NVIDIA G-Sync technology syncs your display's refresh rate with your graphics card's frame rate output to reduce screen tearing, stuttering, and ghosting for a more fluid gaming experience. Built for gamers, this display has helpful gaming features for a helping hand. These include Dynamic Action Sync to reduce input lag, Black Stabilizer to improve visibility in dark scenes, and an onscreen Crosshair to enhance accuracy. Box Dimensions (LxWxH) 36.0 x 20.0 x 8.0"